You maybe just starting out with makeup or you only own the basic makeup kit with you like 1 lipstick, 1 palette with a few eyeshadow shades, blush on, mascara, foundation and a pressed powder. Don't worry I'll help you make the most of what you have in this tutorial. Don't ever think that because you only have limited resources then you cannot be creative. Remember, everyone starts small. So don't limit yourself. 1. Apply lipstick. You can use whatever color you have with you. 2. Apply a black eyeshadow or whatever dark eyeshadow shade available in your makeup palette as long as it matches your lipstick (don't be afraid to mix and match) to the corners of you lips making your way to the center. You can use a lip brush or your fingers to blend the two shades together. Make it a bit darker at the corner and gradually lighten the application as you move your way to the center. 3. If you own a clear lip gloss then pat it on top of the lips. Do not glide it as it will mess up what we did on the previous steps. 1. Apply a concealer all over your lips. This will act as our lip primer. 2. Apply lipstick to the center of your lips. 3. Apply eyeshadow on the edges of you lips. 4. 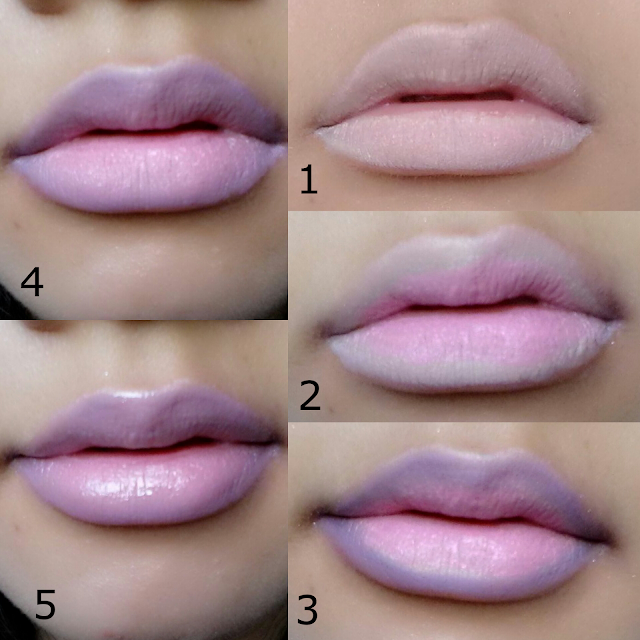 Blend steps 2 and 3 together either using your fingers or a lip brush. Remember to get rid of the harsh edges. 5. Pat lip gloss on top. Again, do not glide the lip gloss so that it won't mess up the whole thing. It's very easy yet creative. With this you can create endless ombre looks to your heart's content. Note: Maybe you're wondering if applying eyeshadow to your lips is safe. If you do then that makes the two of us. It's important that you check the ingredients in the makeup products you own beforehand to be sure. Also buy products from companies you trust. If you are doubtful then I suggest you don't do this because health is more important than the pressure to be beautiful (world's standards). Always remember that with or without makeup you are uniquely beautiful. 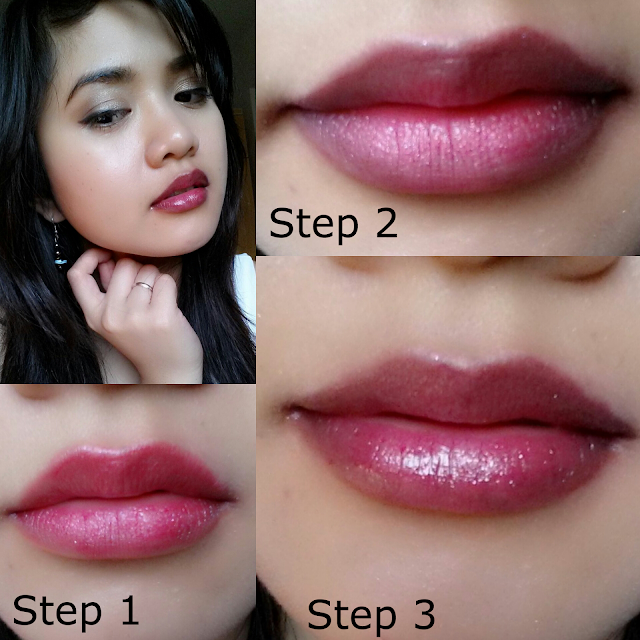 Check out my post on How to Create Ombre Lips.